As the District’s population grows, major demographic changes are also occurring. Planning must recognise the changing composition of population groups in local places and provide services and social infrastructure that meet the changes in people’s needs through different stages of life. This requires integrated planning and collaboration including consideration of the provision of services and the overall health and well-being outcomes for the community and intergenerational equity. Population projections show distinct differences in projected growth in some age groups in the District’s local government areas (refer to Figures 3 and 4). The greatest increase in population is expected in Ryde Local Government Area (51,700 additional people by 2036) due to the anticipated urban renewal in the area. Growth increases demand on existing services and infrastructure, including sport and recreation facilities that are, in some cases, at or nearing capacity. Integrated and targeted delivery of services and infrastructure is needed to support growth and take account of existing levels of provision and use, while also responding to changing demands over time and in different places. Residents need the right mix of local services, programs and infrastructure to meet their needs. Facilities can be the focus of neighbourhoods with the co-location of schools, youth and health services, aged care, libraries, community and cultural facilities, parks and recreation. These facilities need to be accessible with direct and safe walking and cycling connections that can be used by people of all ages and abilities. This encourages people to be more physically and socially active, improves health outcomes and enhances the overall liveability of a neighbourhood or centre. Improving safety, accessibility and inclusion by co-locating activities benefits all residents and visitors. When supported by a fine grain urban form and land use mix which provides a greater diversity of uses and users, liveability can be improved. Creating opportunities for increased shared use and more flexible use of under-utilised facilities, such as schools, sports facilities, open space, halls and creative spaces, can support growth and respond to the different needs of local demographics groups. Multipurpose and intergenerational facilities are the key to better use of, and access to, infrastructure and services in urban renewal and land release areas. Publicly owned land, including social housing in renewal precincts, may provide opportunities to optimise the co-location of social infrastructure and mixed-uses at the heart of neighbourhoods. Integrated and targeted delivery of services and infrastructure is needed to support growth and respond to the different needs of population groups. Accessible local health services and regional health infrastructure such as hospitals are important for all people across the District. 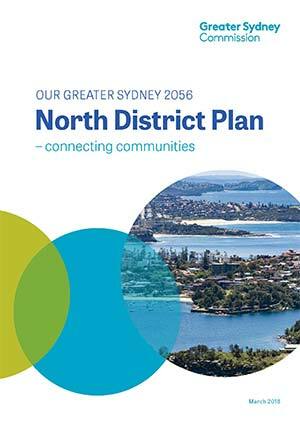 Northern Sydney Local Health District focuses on healthy communities through community health services, obesity prevention, and promotion of a healthy built environment (refer to Planning Priority N4). Cemeteries and crematoria are key social infrastructure that also need to be accessible geographically and economically, and reflective of a diversity of cultures and backgrounds. A growing Greater Sydney requires additional land for burials and cremations with associated facilities such as reception space and car parking. Over the 20 years to 2036, projections show an expected increase of 6,150 children aged four years and under, with more than half of this growth in Ryde and Ku-ring-gai local government areas. Planning for early education and child care facilities requires innovative approaches to the use of land and floor space, including co-location with compatible uses such as primary schools and office buildings, close to transport facilities. The NSW Department of Education estimates an extra 21,900 students will need to be accommodated in both government and non-government schools in the North District by 2036, a 20 per cent increase. Growth is projected to be greatest in Ryde (8,160), Ku-ring-gai (5,733), Northern Beaches (3,454) and Hornsby (2,120) local government areas. The NSW Department of Education’s high-level School Assets Strategic Plan Summary (2017) coordinates planning for, and delivery of, both new and expanded schools. It encourages the joint and shared use of school facilities with local government and the private sector to develop innovative ways to provide school infrastructure. School Infrastructure NSW, a new specialist unit within the Department, will undertake school community planning and deliver the education infrastructure program, working with other State agencies and community groups to develop schools as community hubs. Schools help to create and support inclusive and vibrant neighbourhoods. Planning for new schools, and the use of existing schools, must respond to growth and changing demand in innovative ways such as more efficient use of land, contemporary design, greater sharing of spaces and facilities, and flexible learning spaces. Safe walking and cycling links to schools encourage young people to be more active, and better connect schools with local communities. They can reduce local congestion around schools, improving safety for children and families. The design and management of open space, cultural spaces and the public realm need to consider the needs of children and young people (refer to Planning Priority N6). Source: NSW Department of Planning and Environment, 2016 New South Wales State and Local Government Area Household Projections and Implied Dwelling Requirements 2016 to 2036, NSW Government, Sydney. The Office of the NSW Advocate for Children and Young People’s Strategic Plan for Children and Young People is the first legislated three-year whole-of-government plan focused on all children and young people aged 0–24 years. It aims to give children and young people opportunities to thrive, get the services they need and have their voice heard. Lane Cove and Ryde local government areas are projected to see the largest growth in people aged 20–24 years across the District between 2016–2036 (44 per cent and 29 per cent respectively). The North District provides important opportunities for tertiary and vocational education and training. These allow people to gain and refine skills for employment and connect with other people in the community. TAFEs and universities are also employment hubs for knowledge-intensive industries. State Environmental Planning Policy (Educational Establishments and Child Care Facilities) 2017 recognises the need for child care, schools, TAFEs and university level infrastructure with a focus on good design. The District is expected to see an 85 per cent proportional increase in people aged 85 and over, and a 47 per cent increase in the 65–84 age group is expected by 2036. This means 20 per cent of the District’s population will be aged 65 or over in 2036, up from 16 per cent in 2016. The local government areas of Hornsby, Ryde, Ku-ring-gai and Northern Beaches will have the largest projected increase in the 65–84 age groups. More diverse housing types and medium density housing, as well as the design of walkable neighbourhoods, will create opportunities for older people to continue living in their community, where being close to family, friends and established health and support networks improves people’s wellbeing2. Coordinated and additional health, social and aged care services and collaborative responses across government and industry are needed to meet the expected increase in demand for local aged care facilities and respite services, including home care options (with associated visitor parking). This approach will also need to address care for people with specific needs such as those with dementia and the frail aged. The NSW Ageing Strategy 2016–2020, prepared by the NSW Department of Family and Community Services, responds to the opportunities and challenges of the ageing population. This strategy focuses on five priority areas including health and wellbeing, working and retiring, housing choices, getting around and inclusive communities. Public places including streets, parks, shopping precincts and community facilities must be designed so that people of all ages and abilities can participate in community life. In addition to the rapidly ageing population, the District includes over 27,500 people with disability3. Walkable places and homes of universal design are essential to provide opportunities for the participation of all people. Universal design of places, homes and public transport is increasingly required as the population grows and demographics change. It is a key part of planning for 30-minute cities ensuring that children, young people, people with disability4 and older people can easily access services. Neighbourhoods, streets and transport also need to be safe and designed in accordance with the principles of Crime Prevention Through Environmental Design. This focus on accessibility, inclusion and safety when designing and building neighbourhoods, public transport and transport interchanges, places and homes, will encourage a greater cross-section of people to lead physically active and socially connected lives. This is especially important to the health of people ageing in community and also benefits people with a disability and families. Infrastructure can be adapted and shared for different uses – school and open space facilities can be used for community, sports, arts, screen, cultural and recreational use when they are not otherwise required. Creating opportunities for increased shared use, and more flexible use, of under-utilised facilities can support growth, and respond to the different needs of local demographic groups. In new developments, providing multipurpose and intergenerational facilities can support better access to and use of infrastructure. There are a number of opportunities for developing a more collaborative city by enhancing shared use of spaces and greater connectivity between residents. 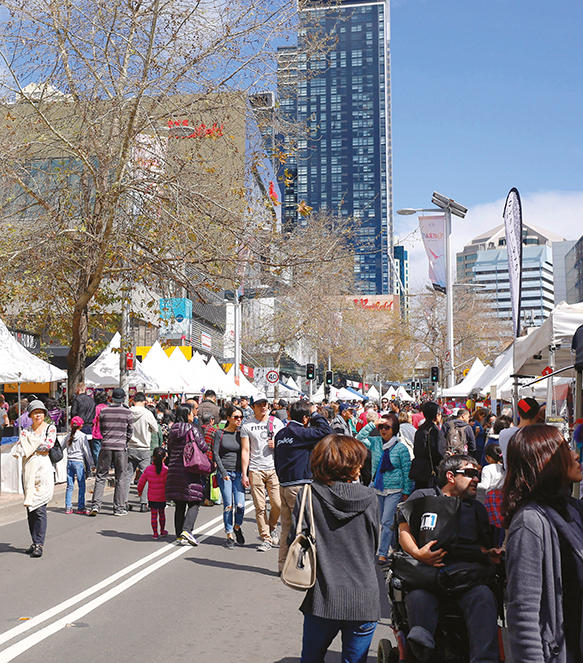 These include the occasional use of streets for community events such as temporary markets, basketball and other sports, or school fetes. Joint and shared use of facilities is encouraged to make school assets available to the community outside school hours and to give schools access to community facilities. Joint use involves a school and a community partner, funding shared facilities, such as a building and operating a sports ground with a local council. Shared use is where a school allows community use of school facilities during out-of-school hours. Each neighbourhood has facilities such as libraries, community centres, adult education, sport and recreation facilities that enhance and promote social connections and networks within the community. Schools are an important example of these social connectors. Where shared use of these facilities is achieved, its function as a community hub is significantly enhanced (refer to Planning Priority N4). Joint and shared use agreements increase opportunities for the community to access facilities and resources and facilitate programs and activities where resources and funding are limited. This is particularly important in urban environments with high land values and growing demand for access to open space and community facilities. Established partnerships between local councils and the NSW Government for shared use of school facilities in the North District include a joint-use agreement between Willoughby City Council and the NSW Department of Education that enables co-utilisation of a synthetic sports field at Chatswood High School.